Bangladeshi nationals working in Malaysia are playing a positive role in the development of Malaysia says Outgoing Malaysian High Commissioner to Bangladesh . Outgoing Malaysian High Commissioner to Bangladesh Nur Ashikin Binti Mohd Taib paid her farewell visit to President Abdul Hamid at Bangabhaban on Tuesday. Press secretary to the President Joynal Abedin briefed reporters after the meeting. 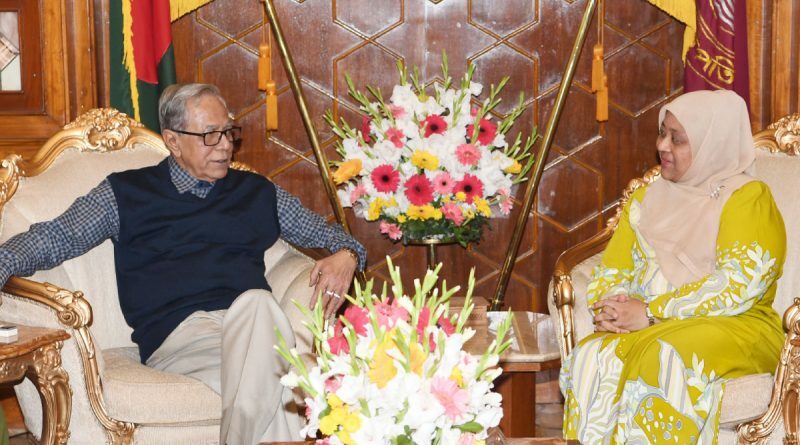 At the meeting, the President described Malaysia as one of the important development partners of Bangladesh, saying it attaches importance to boosting the bilateral relations. Abdul Hamid noted that Malaysia can import Bangladeshi products like pharmaceuticals, leather goods and RMG, which maintain very high quality and are available at very reasonable prices, in a greater volume. 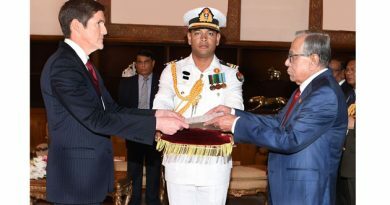 He also called upon Malaysia to increase investment in the physical infrastructure and manufacturing sectors of Bangladesh, including power and energy. The Malaysian envoy said the relations between the two countries are increasing day by day. The Bangladeshi nationals working in Malaysia are playing a positive role in the development of their country, she said. She also hoped that the existing relations will further be strengthened in the days to come. Secretaries concerned to the President were also present on the occasion. 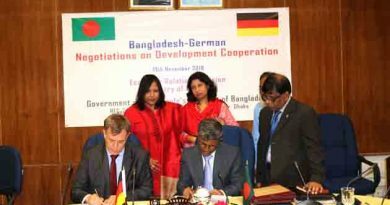 Bangladesh-German Development Cooperation Negotiations 2018 completed with new commitments of EURO 285.3 million. 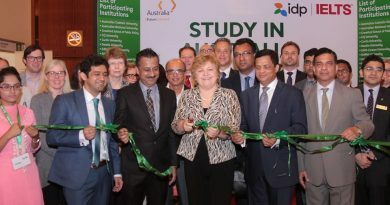 Bangladeshi students encouraged to consider education in Australia , says Australian High Commissioner Julia Niblett.